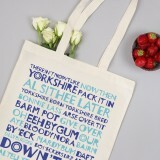 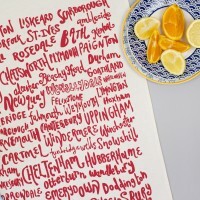 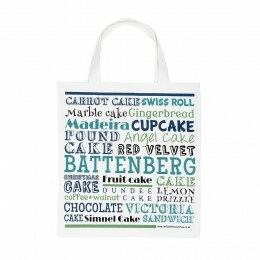 The Yorkshire Tote Bag illustrates amusing colloquialisms from the finest county land. 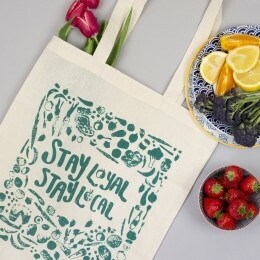 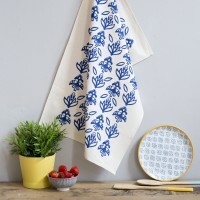 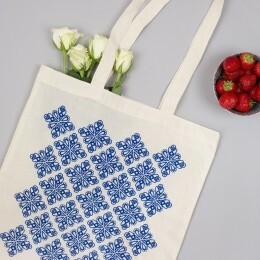 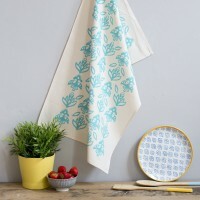 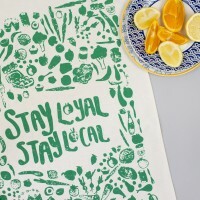 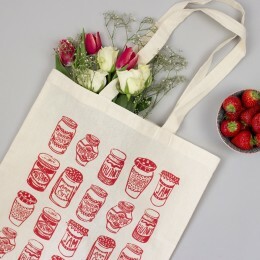 Screen printed onto biodegradable, 100% natural cotton, the tote bag comes neatly folded and packaged with a branded label. Measuring 380x420mm, it may be easily rolled up for convenience. 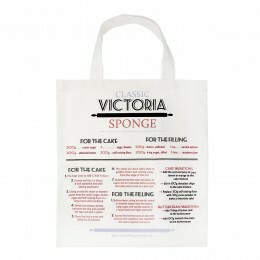 It has a capacity of 14 litres and extra long 66cm handles for super easy carrying.